WWS manufactures 100% organic soil amendments designed to give the seeds of life the fighting chance seeds need to grow bigger, better tasting and healthier lives. The system can process large quantities of materials - Windrows are much larger - 30 ft. wide, 20 ft. high and 300 ft. long. 3,000 tons can be handled in one windrow. Less space is required - The large size of stacks means that substantially less space is required than for traditional windrows that require space for machinery access and turning. Once mixed, our windrows require no turning. The process is faster - Oxygen is able to permeate into the center of the windrows. As a result, decomposition occurs, on average, 5 times faster than current aerobic methods. The windrows are impervious to external influences - Because the windrows are so large, and the first few inches form a very good insulating layer, the piles are impervious to external influences, such as heavy rain and extremes in temperature. The stacks maintain a relatively low moisture content and little, to no leachate is produced. No unpleasant odors - A further advantage of the aerobic conditions is that no unpleasant odors are produced. Even when malodorous ingredients are added, the unpleasant odors are almost immediately lost. Temperatures are sufficient to kill pathogens - The high temperatures reached are sufficient to kill weeds, seeds, and pathogenic bacteria that may be present in the raw materials. Because the system works from the outside inward, the pathogens are "digested" in the piles. The WWS process produces high-quality composts and fertilizers from the waste products of the food and agriculture industries. All by-products are sterilized using the WWS Processing System, which utilizes Microbial Thermogenesis technology to sterilize the resultant by-products of the WWS process by destroying all harmful parasites, pathogens, weeds and seeds. All of WWS's products are manufactured to the highest standards and meet all EPA requirements for trace element content. WWS's products are made from a variety of organic ingredients and are formulated to substantially improve soil fertility and promote vigorous, healthy plant and crop growth. WWS's products are high in nitrogen and trace elements, a very small percentage being water-soluble with a high percentage being in slow release form which allows plants and crops to absorb only the nutrients and trace elements they require thereby reducing fertilizer costs. All products are manufactured and fully sterilized using a microbial thermogenesis system that destroys parasites, pathogens, weeds, and seeds. 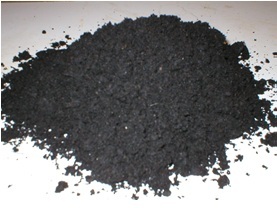 Our compost products can be specifically manufactured to provide the pH requirements of the plants you intend to grow. Our Garden Blend is a full body, dark-rich, compost made of pine mulch, manure, leaf mold, yard waste, forestry products, food waste and other compostable materials making it rich with micro-nutrients. Our Garden Blend can be used as an early summer mulch and unlike chemical fertilizer will not burn plants. Our Landscape Blend is a fine compost made of leaf mold, yard waste, aged wood mulch, food waste and other compostable materials. Our Landscape Blend can be used as a black dirt, top dressing or base for increasing the organic content of soils. Our Organic Plus is made of poultry manures, pine mulch, aged sawdust, wood mulch screening and other compostable materials. Our Organic Plus can be substituted for chemical fertilizer in garden applications and in the planting of trees and shrubs.